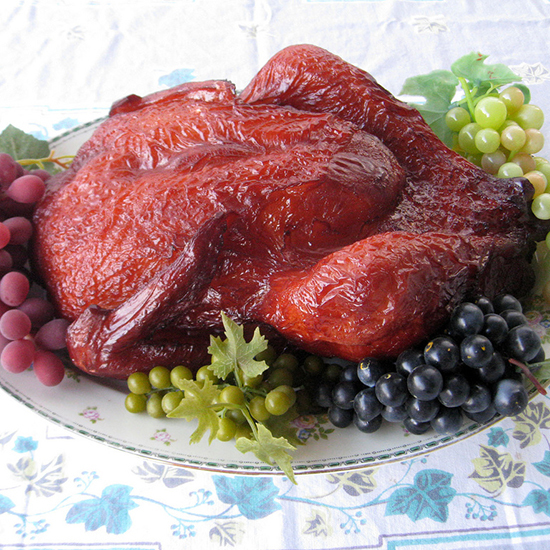 Call us crazy, but our idea of the perfect Thanksgiving turkey is a burnished, crispy-skinned yet moist bird. Elsewhere on the internet, there are some other ideas. 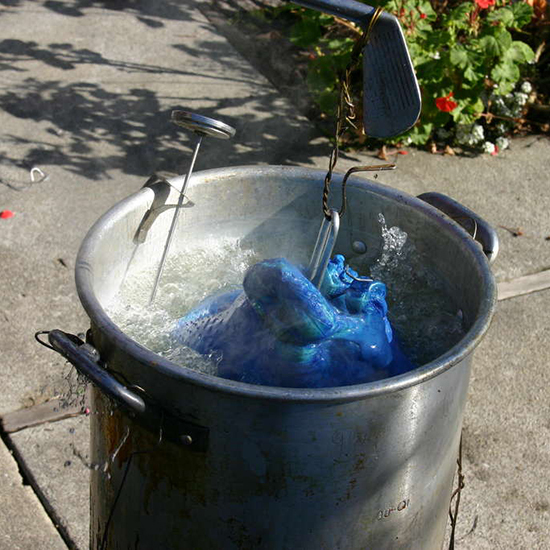 From a blue-dyed turkey to a wax model, here are some of the world's weirdest turkeys. 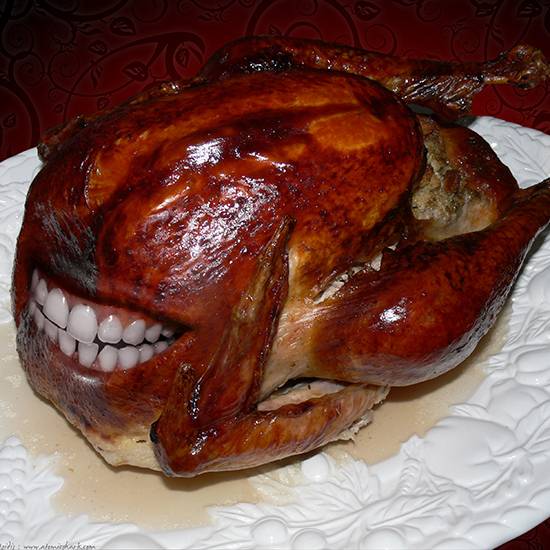 A toothy turkey that takes brushing and basting to the extreme. A blue-dyed turkey worthy of the Blue Man Group. A wax turkey so shriveled-up, it's not even fit for a wax museum. 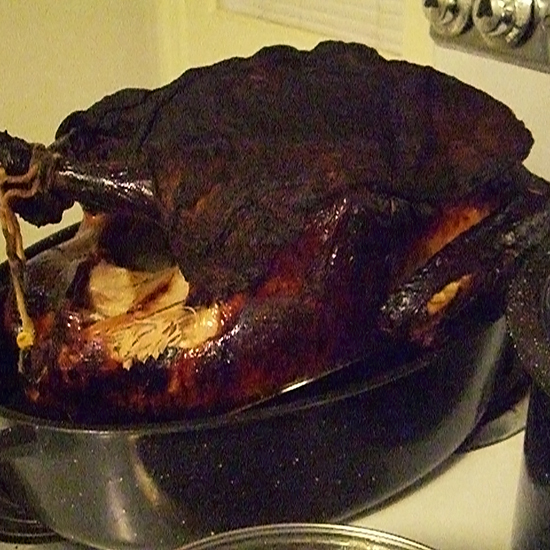 A blackened turkey even Cajun chef Paul Prudhomme wouldn't approve of. 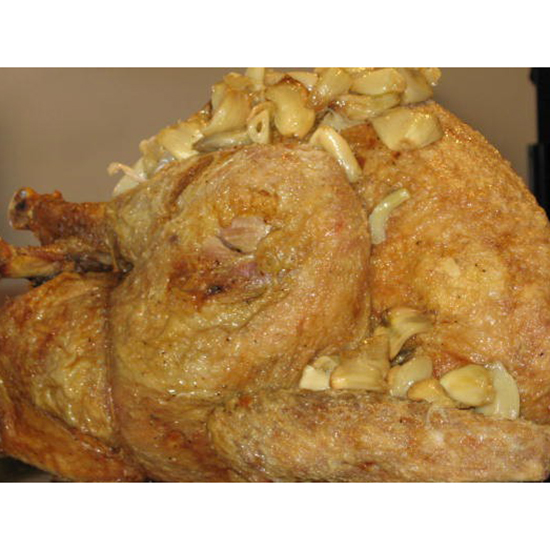 A turkey loaded with so much garlic it looks like vampire repellent.